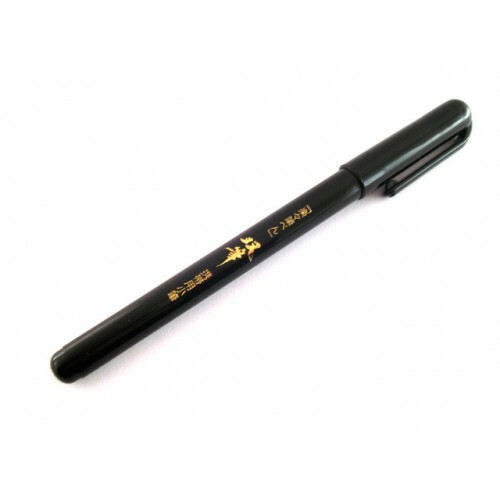 The Platinum Souhitsu brush pen features a tip that is softer at the tip and firmer towards the back. 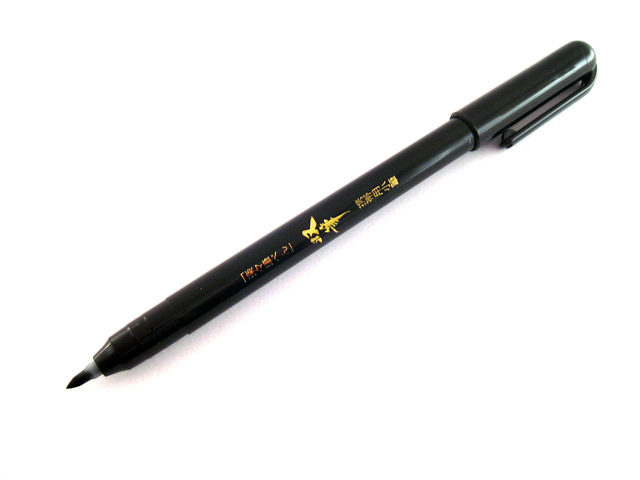 This special design gives the user a better control. 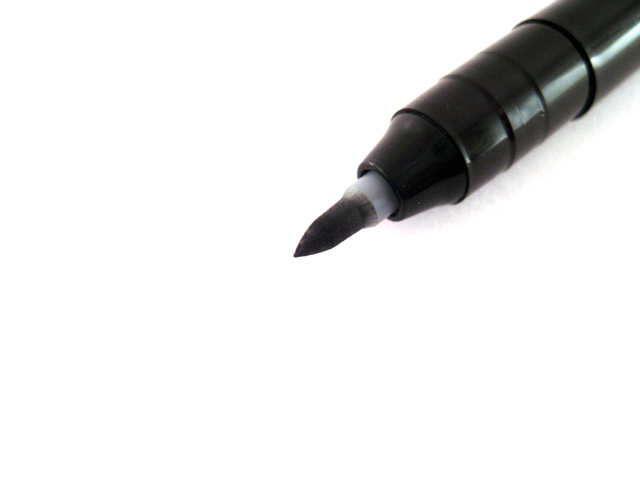 There is more ink flow at the tip than further back, making it write like a real brush. 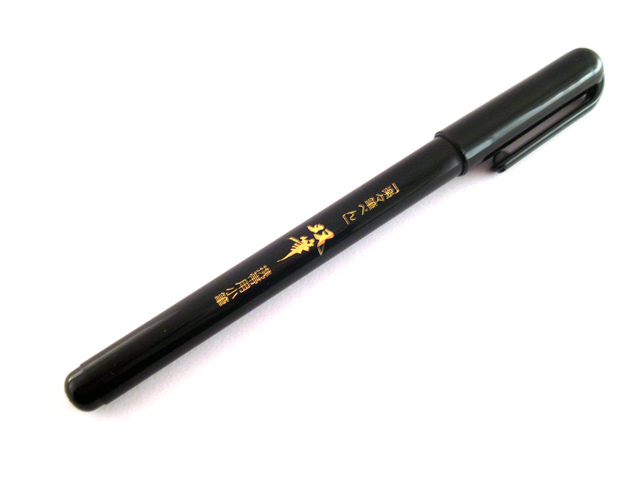 It uses carbon pigment ink that is waterproof. 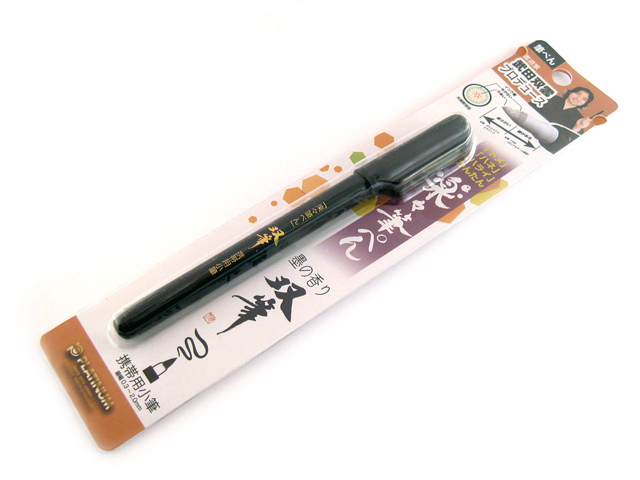 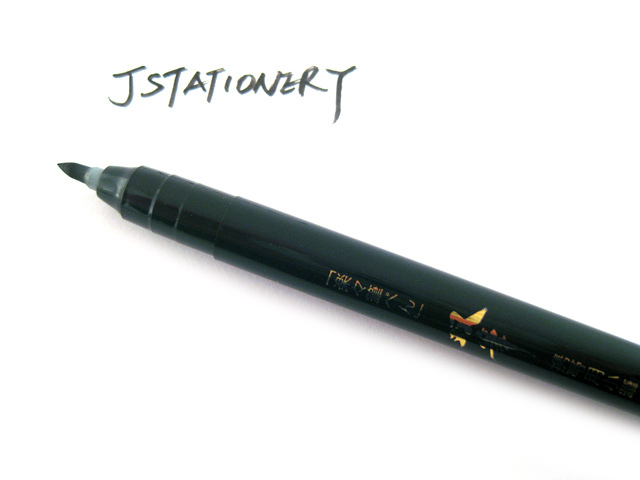 The Platinum Souhitsu brush pen is co-developed by famous Japanese calligrapher Souun Takeda.